Welcome to our range of Flea Pest Control Products and Supplies that can be seen below this short write up. If you prefer to order by telephone, please give us a call on 03330 119703 UK. We supply the best and most effective DIY Flea pest control products available to buy online for delivery throughout the UK, France, Italy, Spain, other parts of Europe and the rest of the World. Cat Fleas and Dog Fleas can be a real problem if they have infested your home or business. Fleas, like Bed Bugs, are blood sucking insects and very often it is when you have suffered a flea bite that you know there is a problem or infestation. Fleas originate from the garden or outdoor areas. They are normally carried indoors by pet cats or dogs possibly picked up outside by way of stray or urban wildlife that have dropped flea eggs as they pass through your garden. During summer months cats and dogs spend more time in the garden and once the flea eggs have hatched, the adult insect is hungry for a blood meal. A pet cat or dog makes an ideal host as fleas prefer to feed off furry mammals. Once the pet animal comes indoors fleas can then make your home their home. They can live in carpets or on pets bedding, jumping on and off your cat or dog when they need their blood meal. Once fleas are in the home or business they may also jump onto humans to take a blood meal. We have put together four comprehensive Flea Kill or Prevent Treatment Kits, as well as other pest control products which include Flea Fumigating Power Foggers, Fumigation Smoke Bombs, a Flea Trap that mimicks a warm blooded mammal and when the fleas jump onto this 'host', they get stuck on its glue boards. We supply Insecticide or Organic Killing Sprays, Insecticide or Organic Killer Powders together with a Flea Repellent Aerosol Spray. Our products have been chosen for being the best and most effective in the treatment and eradication of Fleas. These pest control products will kill, stop and get rid of fleas found in the home or business. What is the Best and Most effective way of stopping and getting rid of Fleas? Our advice is to give another Flea treatment after 2 weeks to achieve total elimination and control of Cat or Dog Fleas. Fleas Kill or Prevent Kit 1 for killing and getting rid of cat and dog fleas. We recommend this kit is suitable to treat 1 - 2 rooms where pets have access. Fleas Kill or Prevent Kit 3 contains a combination of pest control products to treat a cat or dog flea infestation in 5 - 6 rooms. Organic Fleas Kill or Prevent Kit contains products to stop and get rid of fleas in a natural and non toxic way. Fleas Fumigating Power Fogger x 2 will fumigate 2 x average sized rooms to kill and get rid of fleas. Our price includes VAT. Fleas Mini Fumigation Smoke Bombs x 2 to fumigate against a flea infestation. Our price includes VAT. Fleas Mini Fumigation Smoke Bombs x 4 will flush out, kill and stop a flea infestation. Our price includes VAT. Fleas Mini Fumigation Smoke Bombs x 10 are for fumigating rooms with a flea infestation. Our price includes VAT. Fleas Mini Fumigation Smoke Bombs x 20 give an effective fumigation treatment to kill and get rid of an infestation of fleas throughout the home. Our price includes VAT. Flea Trap - Electric is a safe and easy to use trap for a most effective flea control method for use within the home or business. Replacement Glue Boards and Bulbs for the Flea Trap - Electric. This kit contains 3 x glue boards and 2 x bulbs. Formula D Flea Kill and Control Insecticide Spray 1ltr for either spot treating a flea or for a general spray treatment of an area affected by fleas. 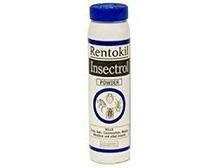 Formula D Flea Kill and Control Insecticide 5ltr. to eradicate an infestation of cat or dog fleas in the home or business. This product remains active for several weeks after the initial treatment. 1.5 Litre Flea Insecticide Hand Held Pressure Sprayer ideal for use with our Formula D Flea Kill and Control Insecticide for sale in a 5 litre container. 5 Litre Flea Insecticide Pump Action Pressure Sprayer with a shoulder strap, ideal for use with our Formula D Flea Kill and Control Insecticide for sale in a bulk buy 5 litre container. Flea Killer Powder 150g for treatment around carpet edges and under furniture to kill cat or dog fleas. Use a suitable flea treatment from the Vet for use on your pet. OA2KI Organic Flea Kill and Control Spray 500ml is a natural and non toxic treatment to kill cat or dog fleas. OA2KI Organic Flea Kill and Control Spray Powder. Organic and Chemcial Free Flea Killer Powder 500g is a completely natural and non toxic product for the control and eradication of fleas. Organic and Chemical Free Flea Killer Powder 2kg is a natural and non toxic product for use around carpet edges, under furniture and on cat or dog bedding to kill and eradicate fleas. Gilmour Flea Killer Powder and Dust Blower with a long reach nozzle allows an application of one of our organic or insecticidal flea killing powders into cracks and crevices where fleas like to hide. Prevent Fleas Personal Protection Aerosol is a completely natural flea repellent spray ideal for use when carrying out a flea control treatment or when visiting friends with cats or dogs. Natural and safe, Prevent is a multi-purpose preventative and protective spray to repel fleas and other biting insects.